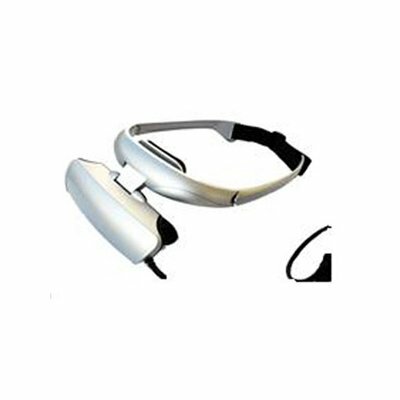 Successfully Added Video Headset, 30 inches, 2m away, full colour, AV interface to your Shopping Cart. GVD310A with 30″ screen offers you clear and exquisite pictures; further, the 2.1-track Dolby surrounding stereo earphone makes you feel like in a theatre. The light and portable structure of GVD310A is design by renowned experts. It can be easily fixed on head, which enables enjoying movies or games in whatever pose. Hi-capacity Lithium Battery for Permanent Power Supply and Convenient Usage. The lithium battery LP1100 can supply power for 8 consecutive hours, making the user more convenience while travelling. Adapter for Range of Multimedia Products. Connected to game players as a gate to the virtual world. Connected to portable DVD players as a bindle of personal theatre.